Filled with lush green hills, Saint Andrew forms one of the most unspoiled parts of Barbados. Affiliated with some of the top- notch Saint Andrew car rental suppliers, our rental company bring you a huge fleet of affordable cars for hire. We offer a wide fleet of rental cars to select from and at very reasonable prices as well. Whether you are visiting Saint Andrew for business or on a vacation with your family, we will make sure that you get the best deals at reasonable prices. Visitors can also use our multicurrency online booking engine for making booking in their native language itself. Book your Saint Andrew car rental deal in advance and avail discounts and offers on all rental cars here. Saint Andrew is a parish of Barbados. This parish makes the northern area of the country. This beautiful parish is named after the patron saint, Saint Andrew. Saint Andrew is also the basis of the name for Barbados' highest national award "The Order of Saint Andrew". The parish of Saint Andrew is also home to Barbados's highest natural elevation, the 336m Mount Hillaby which is located at the southern part of the parish. To the west of Saint Andrew lies Saint James, to the north is Saint Peter, to the south is Saint Thomas and to the southeast is Saint Joseph. Rent a car in Saint Andrew with us and explore the wonderful attractions of this region at your convenience. There are many fascinating attractions in Saint Andrew ranging from beautiful national parks, sugar refineries, windmills to amazing beaches. One of the most popular attractions of this parish is Farley Hill National Park which was once a grand house in Barbados. The shell of the house acts as a fascinating backdrop for the different events like Reggae on the Hill and Jazz on the Hill that takes place on this island. This beautiful park is filled with old mahogany trees that offer a perfect site for a family picnic. Another national park on this parish is Barclays Park that forms a perfect picnic spot. Visitors can also visit the West Indies Sugar Plantation where they can see the full production process of sugar from sugar cane. 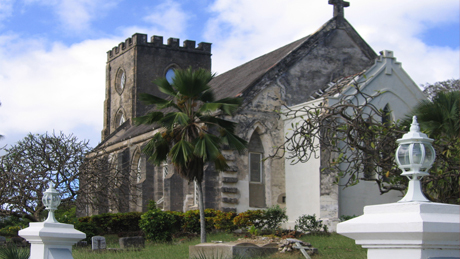 Other popular attractions of this parish include St. Andrew's Parish Church, Barbados Wildlife Reserve, Turners Hall Woods and Grenade Hall Signal Station. With Barbados Cars Rental, you can have a wonderful and memorable Saint Andrew car rental experience. Book your Saint Andrew car rental deal today!